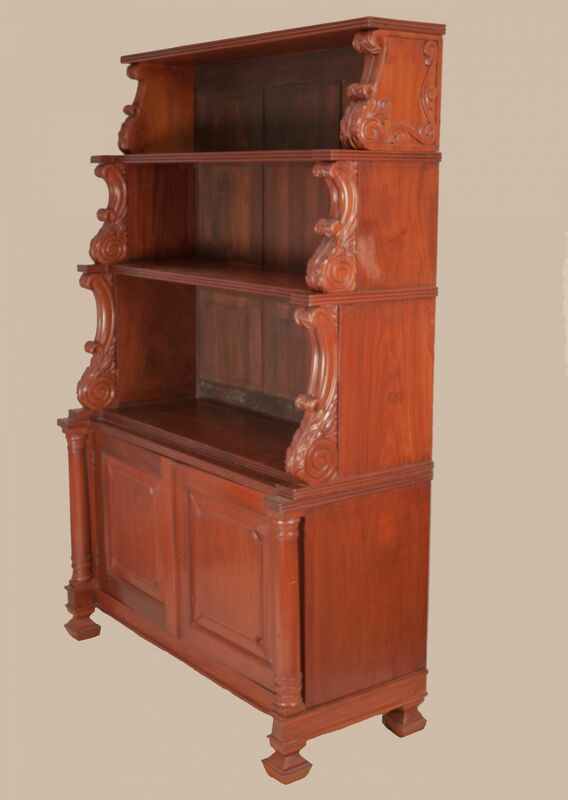 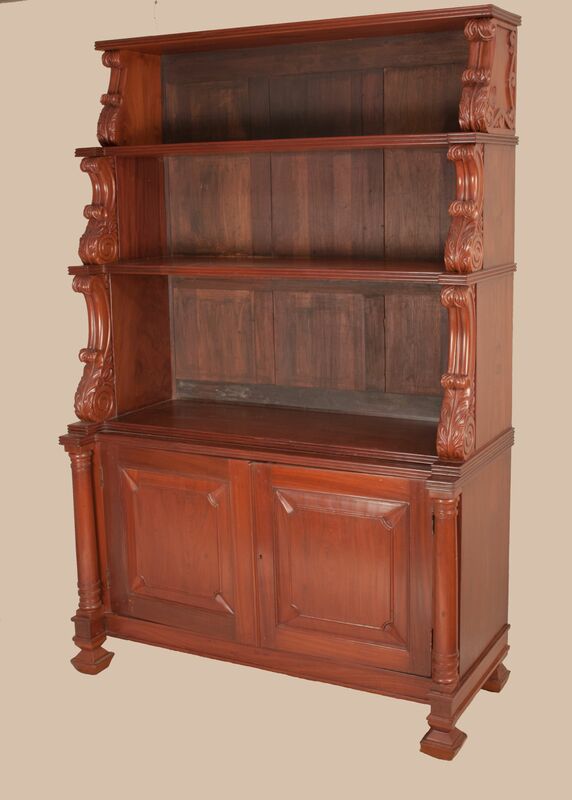 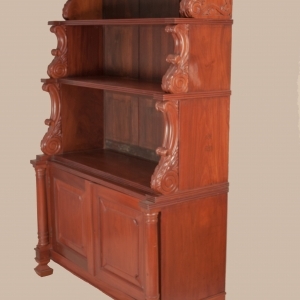 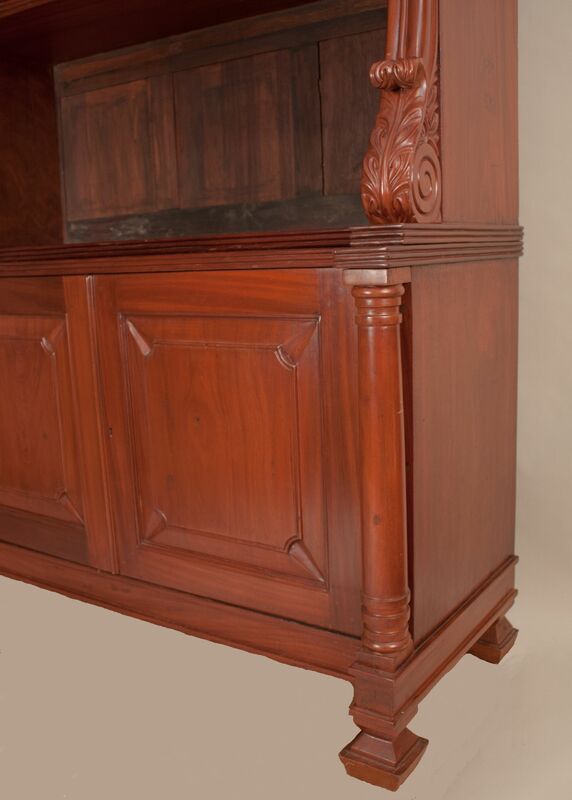 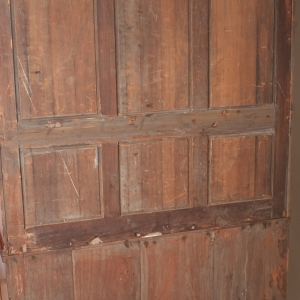 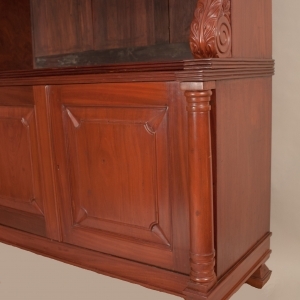 Antique Indo-Portuguese Hutch or display case in richly toned mahogany with hand carved acanthus details, circa 1900. 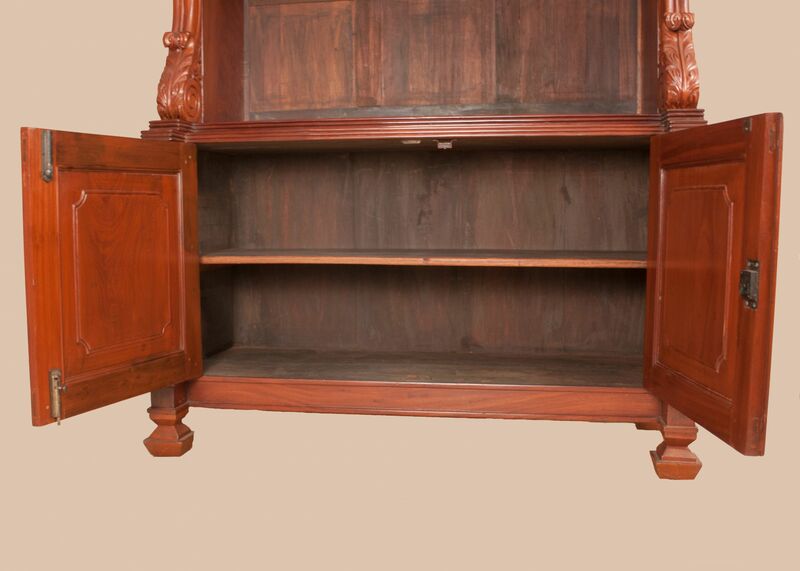 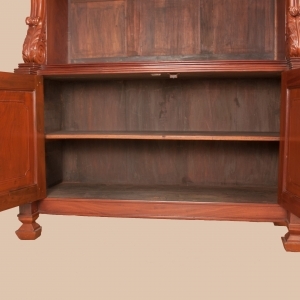 The cabinet is in two parts with display shelves on top and a two-door cabinet with lock, bounded by columns, on the bottom. 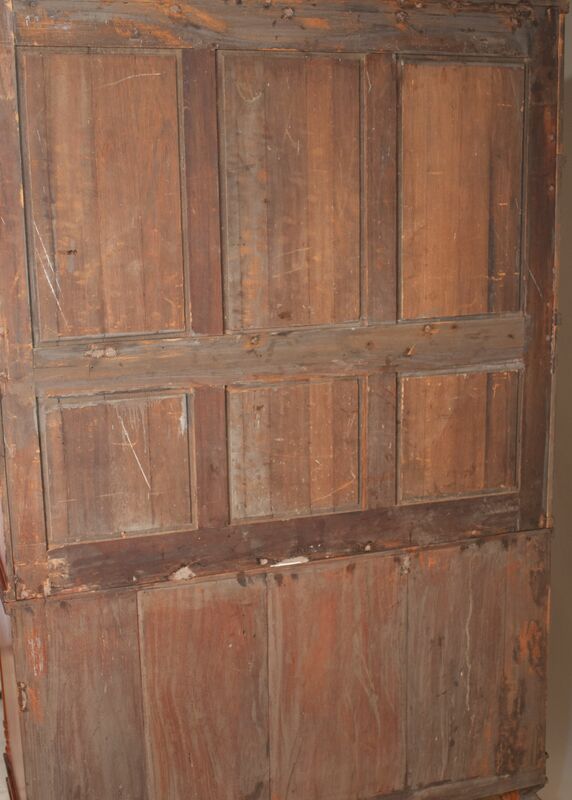 The back panels of the piece have an unvarnished finished.